I love blue cheese! 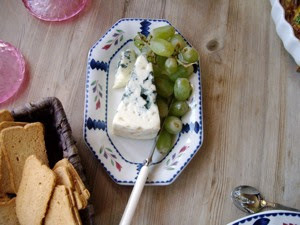 They range from the mild and creamy Gorgonzola, to a pungent Roquefort or Stilton. In fact, try a Roquefort with a glass of sweet wine - a Sauternes, a Muscat, or as the Britons, take a glass of port, as they do with their Stilton! Kjære Åshild! Mange tips. Om restauranter se tips om Sammy's, Risotteria under restauranter. Ellers kan jeg anbefale South Street Seaport, og selvfølgelig områdene i Greenwich Village. PS Har du e-post? Ta kontakt.